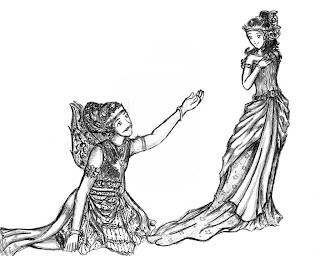 In the version of the Mahabharata, Gatotkaca Ahilawati married thegirl had a son named dragons den Barbarika. Gatotkaca also married to a woman named Pregiwa. From this marriage was borna son named Sasikirana. In the puppet version of Java, Gatotkaca married to her cousin, the daughter Pregiwa Arjuna. He managed to marry Pregiwa after asevere struggle, namely to get rid of his rival, named Lakshmana Mandrakumara Duryudana son of the family Kauravas. From marriage Gatotkaca with Pregiwa born a son named Sasikirana. He became a warlord during the reign of the KingdomHastina Parikesit, Abhimanyu's son or grandson of Arjuna. Another version tells the story, Gatotkaca had two more wives thanPregiwa, namely Suryawati and Sumpaniwati. From both individual Jayasumpena and Suryakaca born. 0 Response to "Gatotkaca love story"